Birds have a surprisingly good ability to discern directions, it’s so good they’re sometimes even said to have an “internal GPS”. New research done by two biologist teams may have found the reason for their impressive navigation abilities, proteins in their eyes that lets them detect the Earth’s natural magnetic field. The navigational abilities of birds have long fascinated scientists and researchers around the globe. Various studies and hypotheses were given for the ability of birds to fly long distances and return to certain favored areas over the course of migration. Experiments done by Hans Walraff of the Max Planck Institute for Ornithology suggested that some birds were able to navigate by sense of smell, while other theories suggested that birds may have had hair cells rich in iron which acted as tiny compasses. Yet new research suggests that the eyes of birds may actually be able to “see” (in some manner) the Earth’s magnetic field. The studies that examined the eyes of birds came from two different teams of biologists. 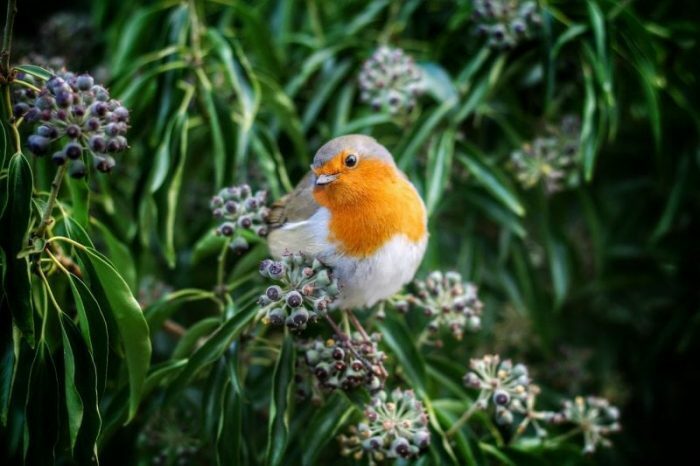 One study, done at Germany’s Carl von Ossietzky University Oldenburg, examined European robins, while another study done at Sweden’s Lund University researched zebra finches. The two teams of researchers both found that a particular protein known as Cry4, may be responsible for allowing birds to perceive the magnetic field of Earth. The Cry4 protein is responsible for helping many mammals regulate their circadian rhythm. It’s a cryptochrome, a type of photoreceptor that is especially receptive to the blue wavelengths of light. This is important because recent evidence suggests that birds are only able to orient themselves using the Earth’s magnetic field if light in the blue wavelengths is present. 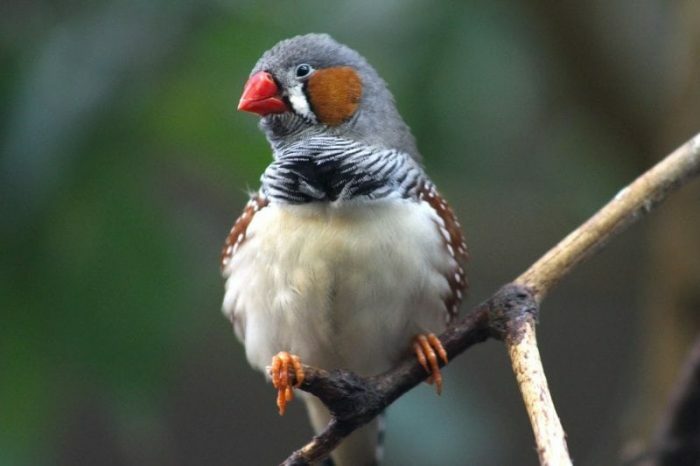 The team from Lund University set out to measure how three specific cryptochromes – the Cry1, Cry2, and Cry4 proteins – were expressed within the bodies of zebra finches. The researchers examined how the genes of the zebra finch affected how the proteins were expressed in the eyes and brains of the animal. Taking cues from previous studies involving Cry4 and blue light, the researchers hypothesized that if a protein was involved in magnetoreception then the protein levels wouldn’t fluctuate throughout the day. If a protein was not involved in magnetoreception, it should fluctuate. “We assume that birds use magnetic compasses any time of day or night,” explained Rachel Muheim, University of Lund biologist and the paper’s co-author. Just as the researchers hypothesized, levels of Cry4 stayed relatively stable throughout the day, while levels of Cry1 and Cry2 fluctuated from morning to night. The results of the Lund University team’s study were supported by the work done at University Oldenburg. The researchers who studied European robins also found that levels of Cry4 remained relatively constant throughout a 24-hour period, though levels of Cry4 did change in one key situation. During the migratory season, levels of Cry4 were heightened compared to the baseline level. The University Oldenburg researchers found something else interesting as well. The study found that levels of Cry4 were concentrated in an area of the robin’s eyes which received most of the incoming light. This would make sense as more light exposure would help Cry4 function as a compass. While the evidence does seem compelling, it’s far from being conclusive at the moment. More research on the topic will have to be done. Complicating the matter is the fact that both of the other proteins involved in the studies, Cry1 and Cry2, have both been correlated with magnetoreception in other animals. Some types of garden warblers are thought to use Cry1 to navigate via magnetoreception. As for the exact mechanism behind how birds use Cry4 to navigate, it involves quantum mechanics. The electrons that are constituents of atoms have a property known as “spin”. The spin of an electron can be in an “up” position or a “down” position, and these two positions mean that electrons can function like magnets. Electrons pair with each other when they can, much like magnets do, yet some molecules have odd numbers of electrons. This means that some of the electrons aren’t paired and just float around freely (they’re sometimes referred to as “radical” molecules). Molecules with free electrons can swing back and forth between “pointing” the same direction or pointing opposite directions. The Earth’s relatively weak magnetic field may be strong enough to influence this process, changing what happens to the radical molecules. The radicals could combine into another, more complex molecule or stay separated, depending on slight fluctuations in the magnetic field. This process occurring in a bird’s eyes, where a protein like Cry4 could enable them to “see” the changes caused by the Earth’s magnetic field, could account for how some birds navigate. Studying birds lacking the Cry4 protein to see if the birds still seem to have an internal orientation system may be a good next step. The research could also have some implications for how humans affect various species of birds. If Cry4 is dependent upon light to interpret fluctuations in the Earth’s magnetic field, it may explain why the artificial lights of cities can disrupt the migratory patterns of birds. 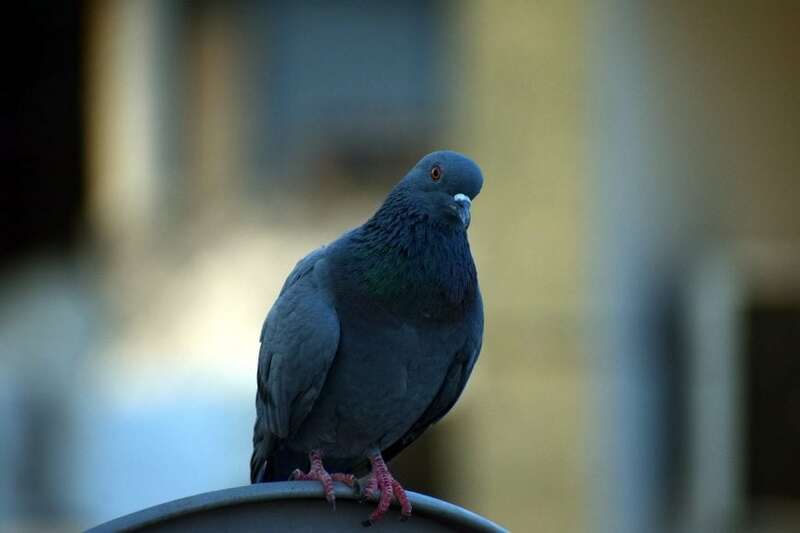 Artificial lighting can throw birds off their migratory paths or cause them to fly into buildings. The light from large cities can be seen as far as 200 kilometers, or 125 miles away. This theory has led some researchers to wonder if it’s possible to design “green” lights for birds, lights which emit less light pollution and therefore pose less of a threat to birds and many nocturnal animals. It’s not just the light pollution that might be making migration harder for birds, things like noise pollution and the amount of interference that originates from many electronics (as well as AM radio signals) can also prevent birds from using their internal compasses to orient themselves. Henrik Mouritsen, who contributed to the Oldenburg University study, did a previous study examining how artificial electromagnetic fields can disorient migratory birds. Mouritsen and his team found that the European robins in their experiment were disoriented and couldn’t find the proper migratory route. After shielding the birds in a wooden hut covered in electrically grounded aluminum plates, the birds were able to orient themselves properly. If birds can’t use one of their most significant compasses when they are in towns, what effect will that have on survival? The hope is that as we learn more about how animals live and navigate their world, we can design systems which minimize our unintended impacts on them. Previous Post« Previous How Long Do Giraffes Live In Captivity And In The Wild?